Bucharest rose to prominence in the 15th century when it was established as the Princely Court of our old friend Vlad III. 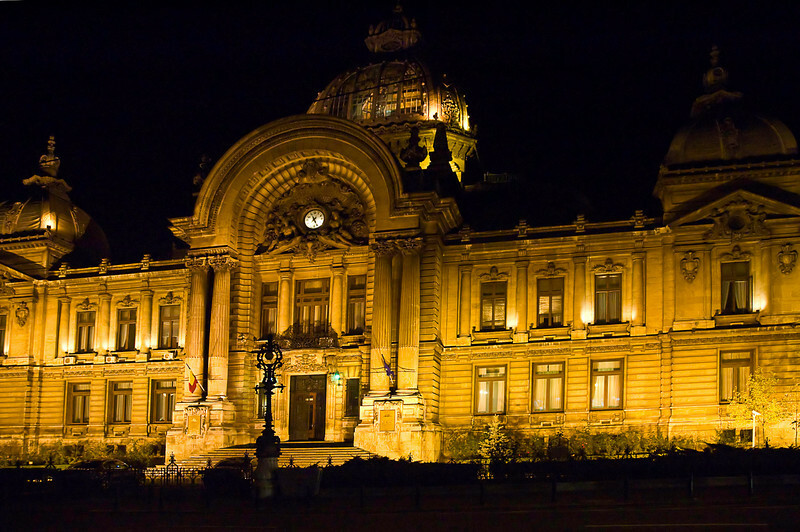 Subsequently occupied by the Ottomans and the Russians and ravaged by plagues, earthquakes and Nicolae Ceauşescu, Bucureşti still retains a sense of the grandeur that had it dubbed "Little Paris of the East." The CEC Palace (above) was completed in 1900 as headquarters of the national savings bank C.E.C. Currently the building is owned by the municipality and intended to host an art museum.